Proper use of html is the key to getting maximum flexibility and return on your investment in web content. From its earliest origins, html was designed to distinguish clearly between a document’s hierarchical outline structure (Headline 1, Headline 2, paragraph, list, and so on) and the visual presentation of the document (boldface, italics, font, type size, color, and so on). html markup is considered semantic when standard html tags are used to convey meaning and content structure, not simply to make text look a certain way in a browser. This semantic approach to web markup is a central concept underlying efficient web coding, information architecture, universal usability, search engine visibility, and maximum display flexibility. Web content is accessed using web browsers, mobile computing devices of all kinds, and screen readers. Web content is also read by search engines and other computing systems that extract meaning and context from how the content is marked up in html. Even in the simple example above, a search engine would be able to distinguish the importance and priority of the headlines, discover which keywords were important, and identify conceptually related items in list form. A Cascading Style Sheet designed particularly for mobile phones could display the headlines and text in fonts appropriate for small screens, and a screen reader would know where and how to pause or change voice tone to convey the content structure to a blind reader. In the past these basic divisions in the structure of page code were there primarily for good form: strictly correct but functionally optional and invisible to the user. In today’s much more complex and ambitious World Wide Web, in which intricate page code, many different display possibilities, elaborate style sheets, and interactive scripting are now the norm, it is crucial to structure the divisional elements properly. The <body> area encompasses all page content and is important for css control of visual styles, programming, and semantic content markup. Areas within the body of the page are usually functionally divided with division (<div>) or span (<span>) tags. For example, most web pages have header, footer, content, and navigation areas, all designated with named <div> tags that can be addressed and visually styled with css. Semantic markup is a fancy term for common-sense html usage: if you write a headline, mark it with a heading tag (<h1>, <h2>). If you write basic paragraph text, place the text between paragraph tags (<p>…</p>). If you wish to emphasize an important phrase, mark it with strong emphasis (<strong>… </strong>). If you quote another writer, use the <blockquote> tag to signal that the text is a quotation. Never choose an html tag based on how it looks in a web browser. You can adjust the visual presentation of your content later with css to get the look you want for headlines, quotations, emphasized text, and other typography. A few exclusively visual html tags such as <b> (boldface) and <i> (italics) persist in html because these visual styles are sometimes needed for other reasons, such as to italicize a scientific name (for example, Homo sapiens). If you use semantically meaningless tags like <b> or <i>, ask yourself whether a properly styled emphasis (<em>) or strong emphasis (<strong>) tag would convey more meaning. html also contains semantic elements that are not visible to the reader but can be enormously useful behind the scenes with a team of site developers. Elements such as classes, ids, divisions, spans, and meta tags can make it easier for team members to understand, use, visually style, and programmatically control page elements. Many style sheet and programming techniques require careful semantic naming of page elements that will make your content more universally accessible and flexible. Cascading Style Sheets allow web publishers to retain the enormous benefits of using semantic html to convey logical document structure and meaning while giving graphic designers complete control over the visual display details of each html element. css works just like the style sheets in a word-processing program such as Microsoft Word. In Word, you can structure your document with ranked headlines and other styles and then globally change each one just by changing its style. css works the same way, particularly if you use linked external style sheets that every page in your web site shares. For example, if all of your pages link to the same master css file, you could change the font, size, and color of every <h1> heading in your site just by changing the <h1> style in your master style sheet (fig. 5.1). Web page files don’t contain graphics or audiovisual material directly but use image or other pointer links to incorporate graphics and media into the final assembly of the web page in the browser. These links, and the alternate text (“alt” text) or long description (“longdesc”) links they contain, are critical for universal usability and search engine visibility. Web users don’t just search for text. Search engines use the alternate text descriptions to label images with keywords, and visually impaired users depend on alternate text to describe the content of images. Proper semantic markup will ensure that your audiovisual media are maximally available to everyone in your audience and to search engines. The web supports document formats other than html. pdf (Portable Document Format), Flash, and Shockwave are formats commonly used to provide functionality that is not available using basic html. pdf files are favored for documents that originated in word-processing and page layout programs and retain the appearance of the original document. Flash and Shockwave provide interactivity beyond what is available using standard html. In general, the best approach is to offer documents as plain html because the markup offers greater flexibility and is designed to enable universal usability. At times, however, the additional features and functionality offered by these other formats is essential; in this case, be sure to use the software’s accessibility features. Adobe in particular has made efforts to incorporate accessibility features into its web formats by supporting semantic markup, text equivalents, and keyboard accessibility. Check your web logs or use a service such as Google Analytics to be sure that you understand what browser brands, browser versions, and operating systems (Mac, Windows, mobile) are most common in your readership. 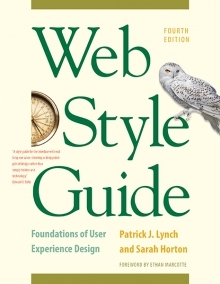 If you encounter a discrepancy in how your pages render in different browsers, check that you are using valid html and css code (see chapter 1, html and css code validation ). Not every browser supports every feature of css, particularly if that feature is seldom used or has recently been added to the official standards for css code. For example, although drop-shadowed text is a valid css option, not all browsers support it. Set careful markup and editorial standards based on semantic markup techniques and standard html document types, and adhere to those standards throughout the development process. Today’s web environment is a lot more than just Internet Explorer or Firefox on a desktop computer—hundreds of mobile computing devices are now in use, and new ways of viewing and using web content are being invented every day. Ultimately, following semantic web markup practices and using carefully validated page code and style sheets is your best strategy for ensuring that your web content will be broadly useful and visible into the future.